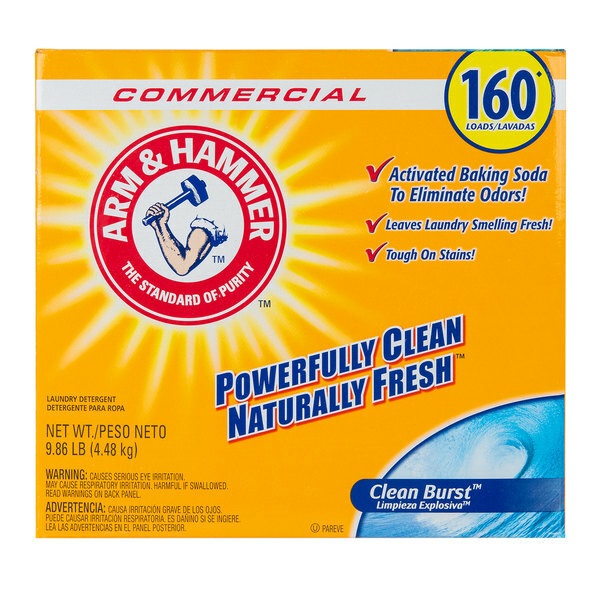 Wash your linens, sheets, and uniforms with confidence using this Arm & Hammer 9.86 lb. Clean Burst HE powder laundry detergent. 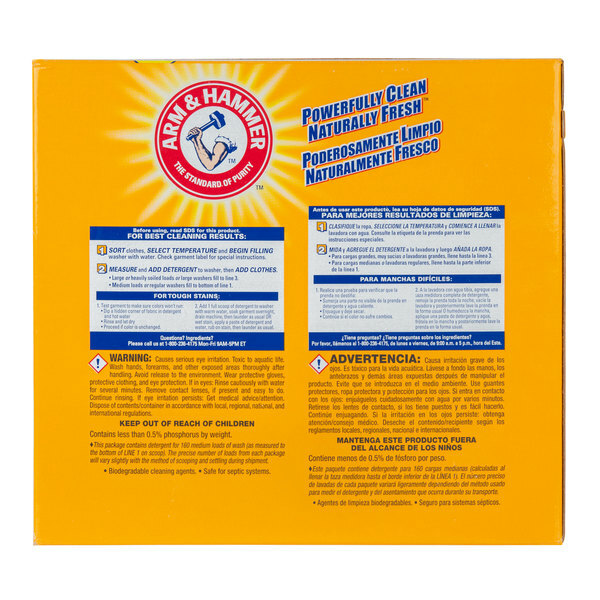 This formula cleans gently to keep clothes looking bright and new. For added versatility, it can be used with standard or High Efficiency machines. 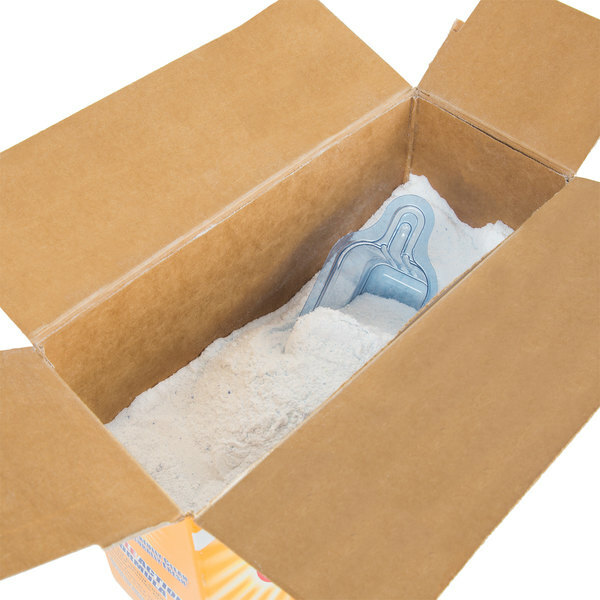 Plus, the special dirt trapping agents provide a clean rinse for efficient, deep-action cleaning. It's strong enough to break down the toughest stains and odors for a fresh, clean wash every time. Great for schools, restaurants, hotels, daycares, and nursing homes, this powder laundry detergent is the perfect way to ensure all of your linens, sheets, and uniforms are freshly laundered and ready to use. This detergent is designed to help remove food stains, grass stains, and grease, for a multi-purpose detergent you can depend on. The refreshing clean burst fragrance also keeps your laundered items smelling fresher longer. 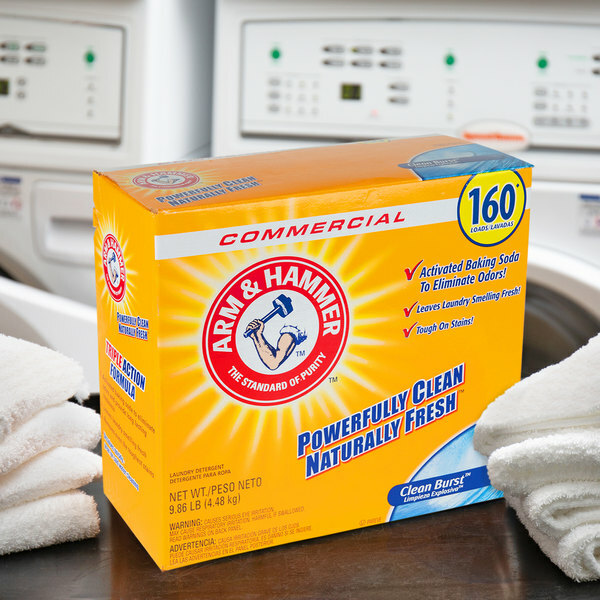 From a name brand you can trust, this Arm & Hammer detergent won't let you down!